The Largest Shale Oil Reserve Is Found In The United States. Worldwide, shale oil is found in many places. But, the largest deposit of them all lies in the United States in the Green River Formation. The Green River Formation covers portions of Wyoming, Utah, and Colorado. This reserve is estimated at between 1.2 to 1.8 trillion barrels. There is a catch, though. It's not all recoverable. However, even if 800 billion barrels IS recoverable, that's three times the size of Saudi Arabia's proven reserves. The United States uses 20 million barrels of oil per day. So, the Green River Basin Formation contains enough oil to power the United States for 100 years. And, in other good news, it just so happens that 70% of this vast reserve sits right under land owned and managed by none other than - you guessed it - the Federal Government. Just imagine all the free stuff our politicians could give away with the money generated by the exploitation of that great resource! "The worst thing that could happen is to confuse ourselves and the public with too much spin about unlimited energy supplies at cheap prices, alternative fuels on a global scale, or energy independence in a matter of years. That kind of thinking simply dilutes our focus, defers the tough solutions that are needed today, and sets us all up for more future shock and economic disruptions." Sadad Al-Husseini - one of Saudi Arabia's most powerful oilmen. The term "shale oil" is technically incorrect because it doesn't contain oil but a precursor to it - kerogen. Kerogen has a hydrogen-to-carbon ration of around 1.2 to 1. Unlike conventional oil, shale oil extraction is accomplished through mining AND drilling. Because the oil is trapped in tight shale rock that is not porous enough to let the oil flow, the drilling process uses a combination of fracking and horizontal drilling. Fracking involves a process of blasting fluid and pressure through the rocks to create small holes that allow the oil to seep through. Fracking uses mega amounts of fresh water. Surface mining, strips away all trees and topsoil. The sands are then scooped up and hauled away by huge dump trucks to the processing facility. At the facility, the shale oil undergoes a process known as retorting, or heating to high temperatures to separate the oil from minerals. Shell Oil Company is currently experimenting with an in-situ conversion process that will heat the rocks while still in the ground. Over a period of two to three years, the temperature reaches 650 to 700 degrees, which is high enough to cause the oil to separate from unwanted materials and begin to flow. The oil is then gathered into collection wells within the heated zone. Because heating the rocks causes the shale oil to flow, groundwater contamination is a problem. To combat this issue, Shell Oil has found a way to install a "freeze wall" around the outside of the heated area. A freeze wall is formed by pumping refrigerated material into wells surrounding the outside perimeter of the extraction zone. Is The United States The New Saudi Arabia? According to The Australian, in a February 25, 2013, article, "The oil side of the US shale gas revolution has been building steadily but it was only last year that it dawned on many forecasters that the US is set to overtake Saudi Arabia and Russia as the world's biggest oil producer by the end of the decade. Even the Saudi Arabian-controlled OPEC oil cartel was caught offguard." And, according to statements released by the International Energy Agency, "By 2020, the US is projected to become the largest global oil producer. The result is a continued fall in US oil imports to the extent that North America becomes a net oil exporter around 2030." Environmental and economic concerns abound regarding the mining of shale oil. Of concern to every man, woman, and child should be the question of groundwater contamination. Will the freeze wall really protect precious ground water? With the western part of the United States being naturally arid, is there enough water available to process the oil shale? This is a HUGE question that needs to be answered. Equally concerning should be the long term health risks associated with oil shale mining, drilling, and fracking. What is known already about tar sands and the increased cancer rates of populations in close proximity should cause activists to rise up and take note. But, hey, let's look at the bright side. At least we can all get our cancer treated now that we have ObamaCare! With all the effort and energy required to mine and process shale oil, is it even feasible? And what will be the final cost? 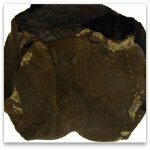 Bakken Shale: The Bakken Shale was at one time considered to be a marginal find because the oil was trapped in such low permeable shale. Deepwater Horizon: Transocean's Deepwater Horizon burned for two days and then sank - an equipment loss of over $200 million. Directional Drilling: Directional drilling is common practice in shale gas plays such as the Bakken and Barnett Shale, and the selection of drilling tools is critical. Drilling Mud: Drilling mud can be oil, air, or water based. It cools and cleans the bit, stabilizes the well bore, and creates wallcake. Exxon Valdez: The effects of the Exxon Valdez oil spill are still being felt almost 30 years later. Natural Gas Drilling: Natural gas drilling looks to continue because the natural gas reserves of the United States are large enough to fuel our needs for many years to come. Oil Well Drilling: Oil well drilling requires many pre-drilling decisions, such as whether to reverse circulate and which type of drilling mud to use. Shale Oil: Shell Oil Company's in-situ conversion process requires a "freeze wall" around the outside perimeter of the shale oil extraction zone to prevent groundwater contamination. Spindletop: The oil revolution began when Spindletop gushed black gold 150 feet in the air for nine days in 1901, and Howard Hughes invented the roller cone bit. Tar Sands: Tar sands are a black, tar-like combination of clay, sand, water, and bitumen. They are sometimes called "oil sands" to make them seem more appealing.